The Snow Carver rides like a chopper for exhilarating downhill snow carving. Made of sturdy yet lightweight ABS, its 2″-high foam seat lowers a rider’s center of gravity, making the chopper more stable without sacrificing the “feel” for terrain while riding. 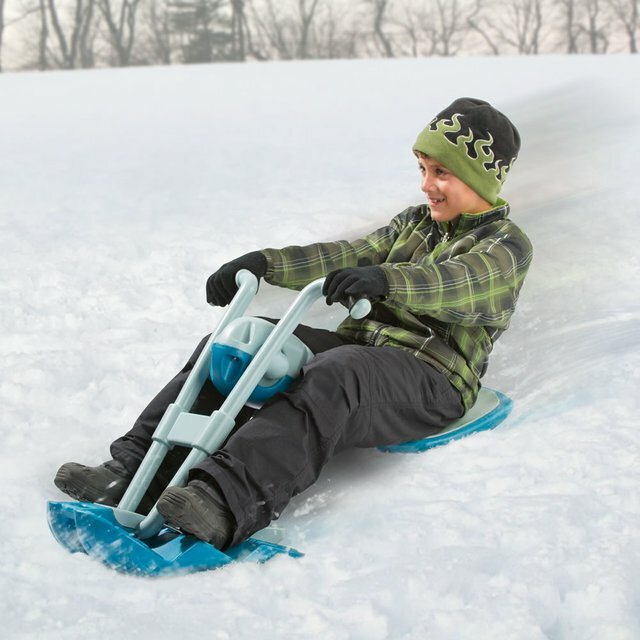 Steered by handlebars and leaning to either side, the chopper’s front “wheel” has twin polyethylene runners/glide channels that carve clean, sweeping turns as well as keep the chopper on a straight line for blistering runs straight downhill in either groomed snow or fresh powder.